Cottage in lovely surroundings near waterrnill. Fishing included. Sleeps 3/4. With a range of 3-5 star cottages there should be a cottage to suit your needs and price range. 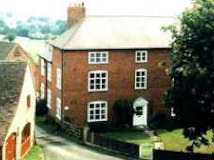 Two comfortable cottages in lovely countryside surroundings.